If the tragic loss of Alec Kornet has taught us anything, it has shown the power and love that exists in the South Euclid-Lyndhurst community. We are there for each other in good times and bad. What little we have, we are willing to share. We’ve all endured the negative comments about our schools and our community. We know what a treasure we have here, but we forced to endure the barbs and slights that are based on “alternate facts”, not reality. When a tragedy happens, the outpouring comes, reminding us of why we still call this place home. We love this place. We love each other. The trick is finding the energy and time to keep this outpouring of love going every day. We’re all busy–too busy. Our email in-boxes are overflowing. We have to be in three places at once. Everyone needs our time and our energy. We’re tired. Yet, right now our kids and school district need us. Public education is under siege at the federal and state level. What can we do? Acting locally is best place to start. A group of hard-working busy parents have been planning an event that they’ve planned every year for many years. The Brown and Gold Night at the Races is a fun evening for those who attend, but most importantly, it raises funds for scholarships for our graduating seniors. This year, it will be held on Saturday, March 11th at the Lyndhurst Community Center at 6 pm. Click here to get the form you need to participate. It needs to be submitted by Wednesday, March 8th. Either mail it or drop it off at South Euclid City Hall. How can you help? Attend by purchasing a ticket for $25. Buy a horse for $25. Buy an ad. Donate an item for a raffle prize. It’s an evening with good food and drink and a chance to be in the company of other folks who believe in our schools and our kids. This is more important than ever. This is what our community is about. See you on Saturday. On Tuesday, February 14, our community lost a wonderful young man in the most startling and devastating way. Alec Kornet, a seemingly healthy, athletic, 17-year old died after having trouble breathing at hockey practice with absolutely no prior problems or symptoms. Alec was a very special young man, an honors student, leader on the hockey, baseball, and soccer teams as well as the marching band and just a universally loved person. To lose such a promising young soul in such a shocking way shook our community to its core. However, the South Euclid-Lyndhurst (SEL) community has rallied around the Kornet family and each other in an overwhelming way. 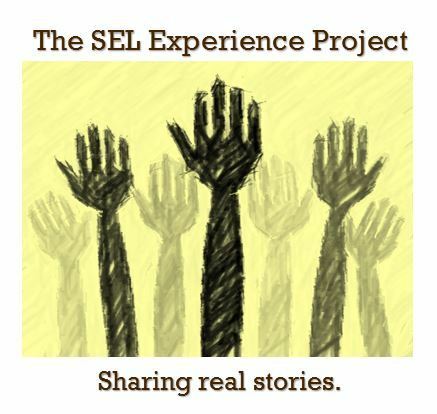 While I’d never say there is anything good to come out of this tragedy, the response from the community has served as a reminder of how special and underappreciated SEL is. Over the years, we’ve seen many move away in search of greener pastures of perceived school superiority or “better” neighborhoods. We’ve heard and felt the underlying questions about why we are still here. Well…this is why. We’re proud of our diversity, we’re proud of our school district, we’re proud of our students, and we’re proud of our families. We are truly a community in every sense of the word. While we mourn the loss of Alec Kornet, we are reminded of how special SEL is and in remembering and honoring him, we grow even stronger together.